As I mentioned in my last blog, Mary has begun a new line of handcrafted jewelry at MJ Crafts Design Studio, and I will be bringing those new creations here for your viewing and buying pleasure. She has created two main pages related to this new line of jewelry, those are Handcrafted Jewelry Page, Handcrafted Jewelry Page 2. In the previous blog I introduced the Handcrafted Semi-precious Stones Rings, the Handcrafted Swarovski Crystals Birth Silver Rings, and the Handcrafted Faceted Swarovski Crystals Gold Plated Birth Month Rings. 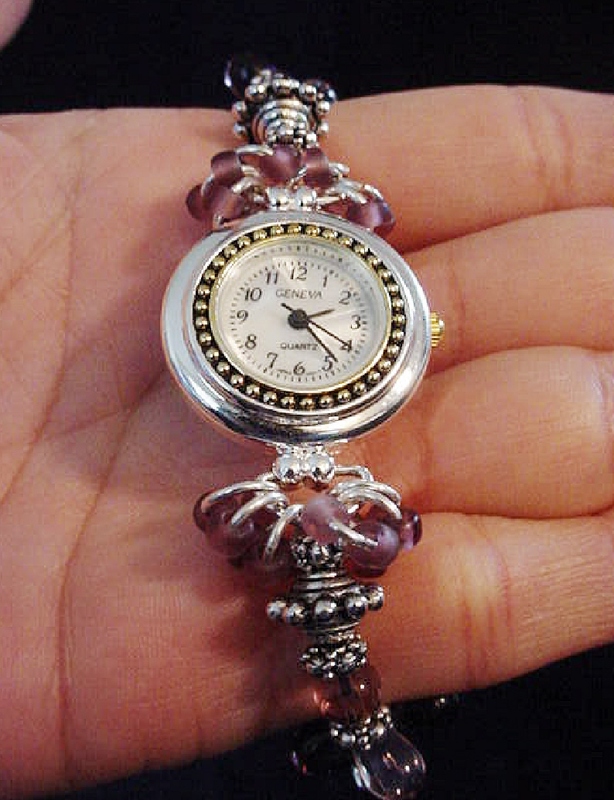 Handcrafted Jewelry Pink & Purple Watch - Handcrafted with Drop Glass Purple & Pink beads. Embellished with Silver plated findings and details. 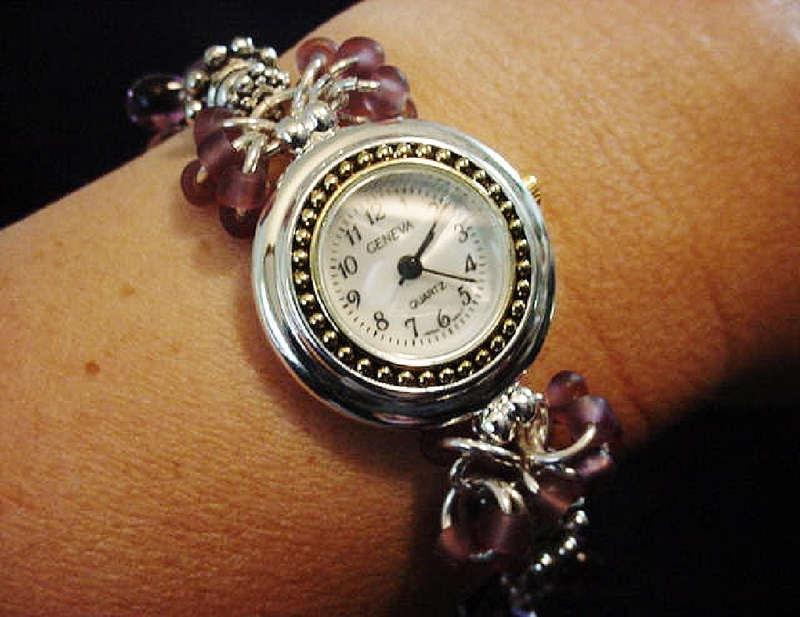 Stretch cord is used for watch band. Round silver and gold details watch face.White Opalescent Geneva sphere. Quartz function and mechanical system. Stainless Steel back and is water resistant.Beautiful and Elegant! 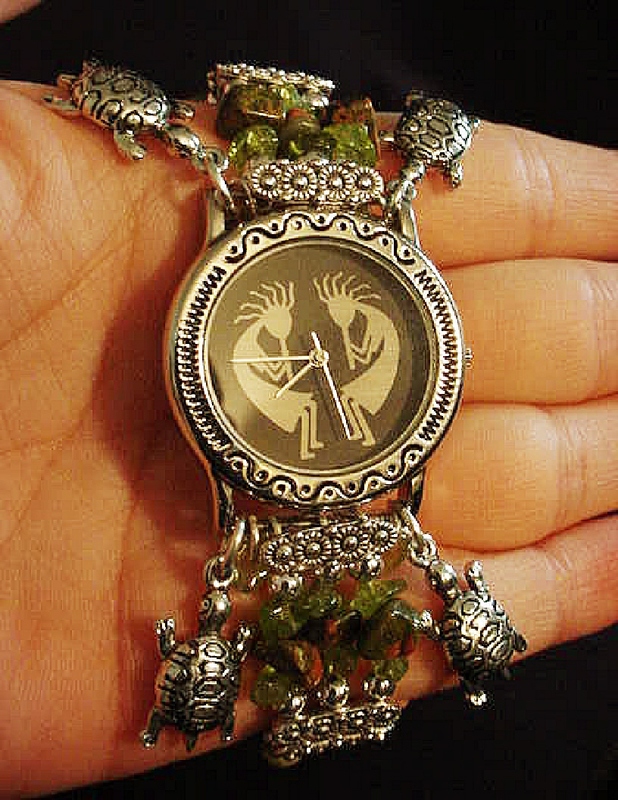 Handcrafted Semi-precious Kokopelli Watch 1- Handcrafted with Semi-precious Unachite and Peridot Stones. Embellished with Silver plated beads and findings. 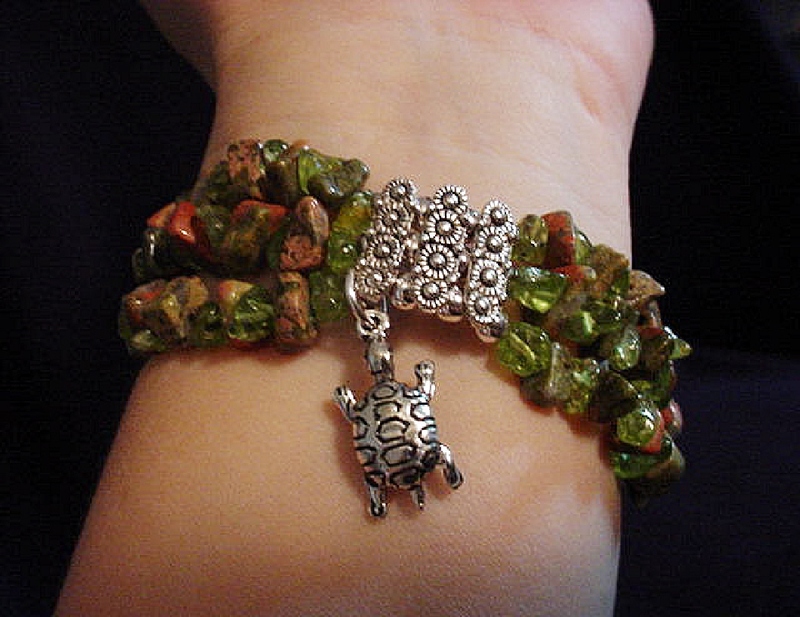 Five turtle charms are used for final details. Stretch cord is used for watch bands. Round Large Silver watch face. Two Kokopelli's designs enhance the watch sphere. Quartz function and mechanical system. Stainless Steel back. Beautiful, Elegant and Southern look. 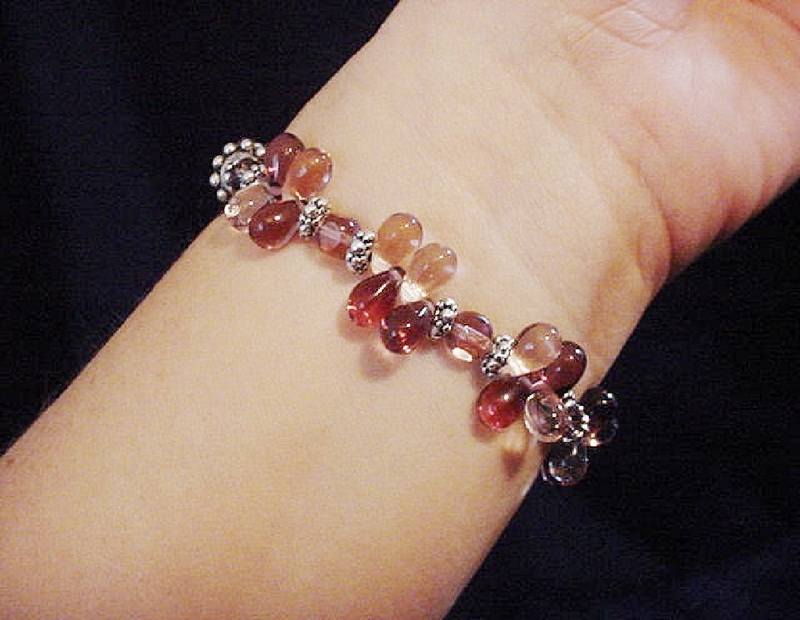 Next time I will present to you the wonderful bracelets in this collection. Many more creations are coming out...stay in contact and don't forget to visit us often and check our new items and new items 2 pages for more impressive creations. Stay in touch!